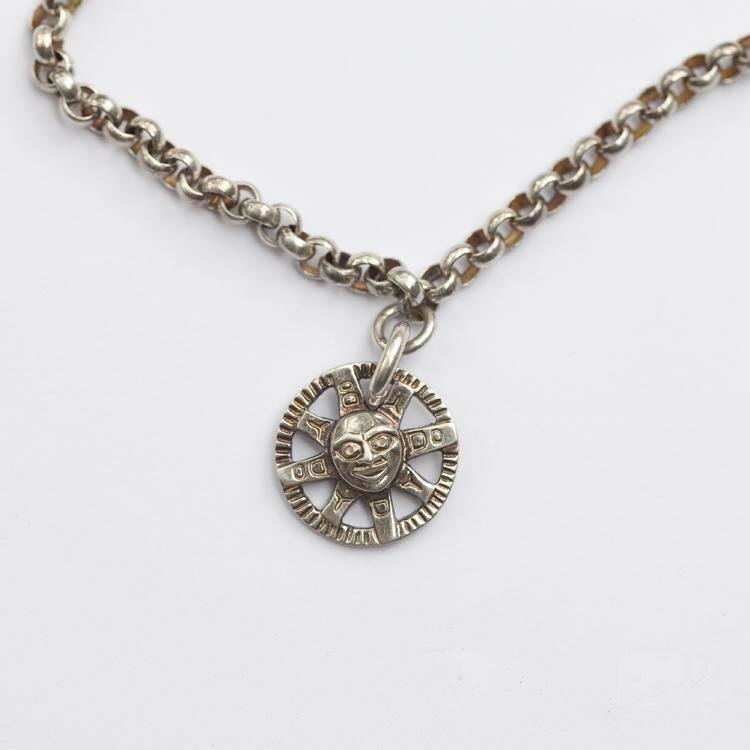 The sun face necklace is an ideal combination of plain and ornate. 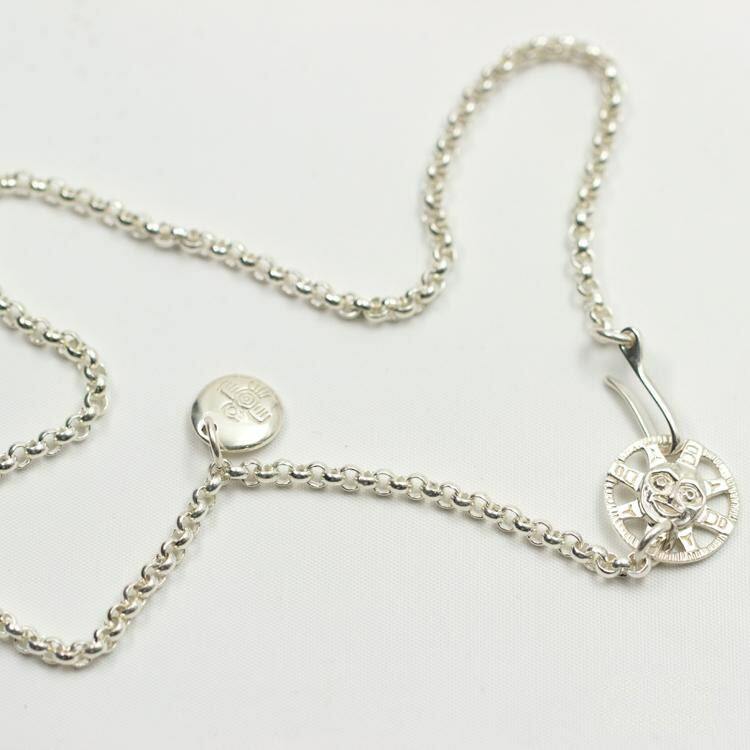 The simple silver chain is crafted with tiny, round rings that make the chain look chunkier and more substantial without being heavy. A simple, round pendant carries a carved thunderbird figure on it. 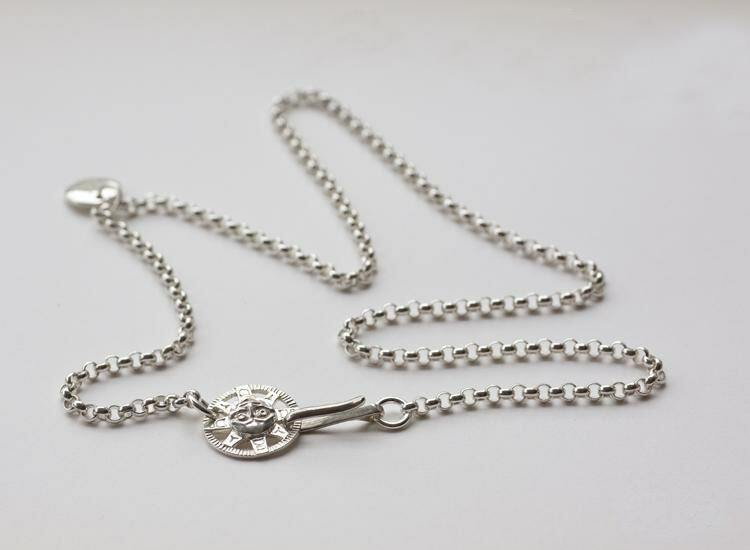 The necklace closure is quite elaborate - a sun face charm that also adjusts the hook. Note: This item is only a basic necklace. 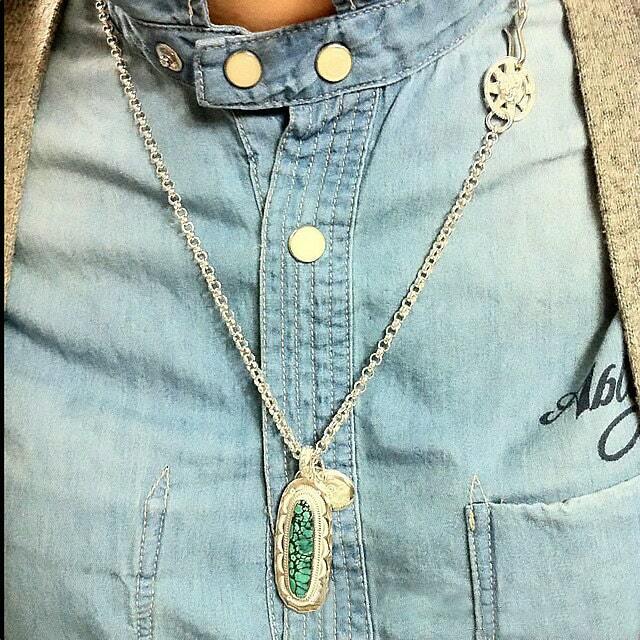 Gemstone pendant shown in model's picture is Not included. Link Chain Length: 50cm/19.7inch, 55cm/21.7inch, 60cm/23.6inch, 65cm/25.6inch. 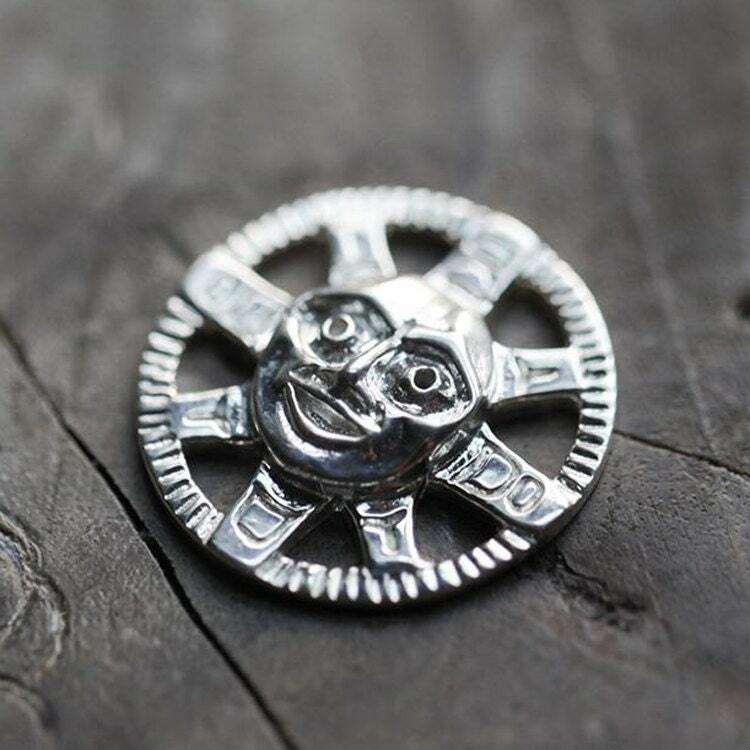 The sun face necklace is available in two different finishes: the shiny, original silver finish, and the vintage-looking, oxidized silver finish.